The nib is the core element of each fountain pen. The quality of its material, its manufacturing and its shape define the precision and constancy of the ink flow. It is responsible for the vibrational behaviour of the pen and hence for the beauty of the writing. 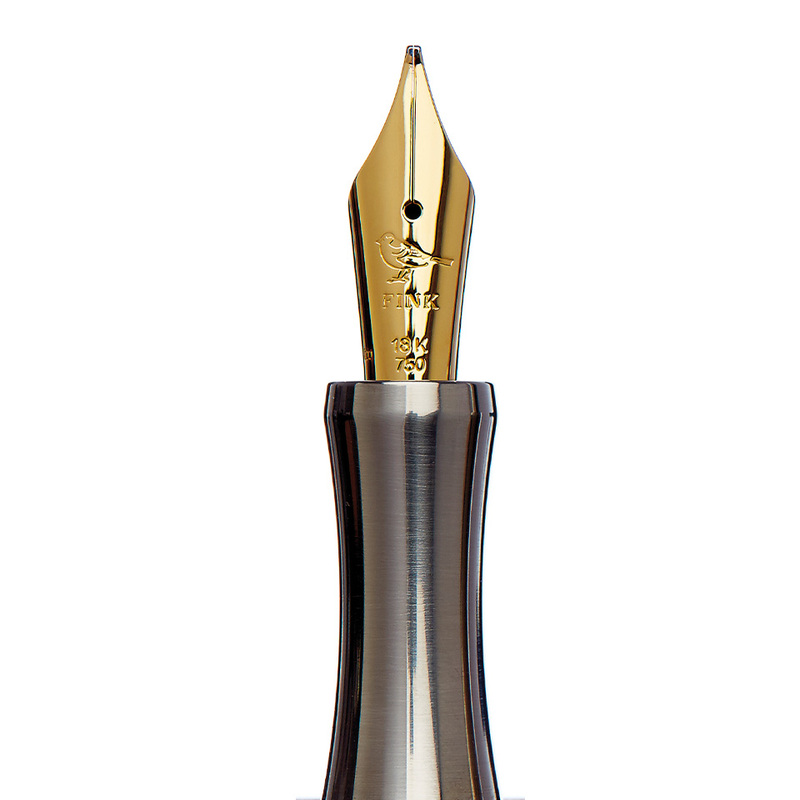 All nibs in Fink's fountain pens are made from 18K gold. 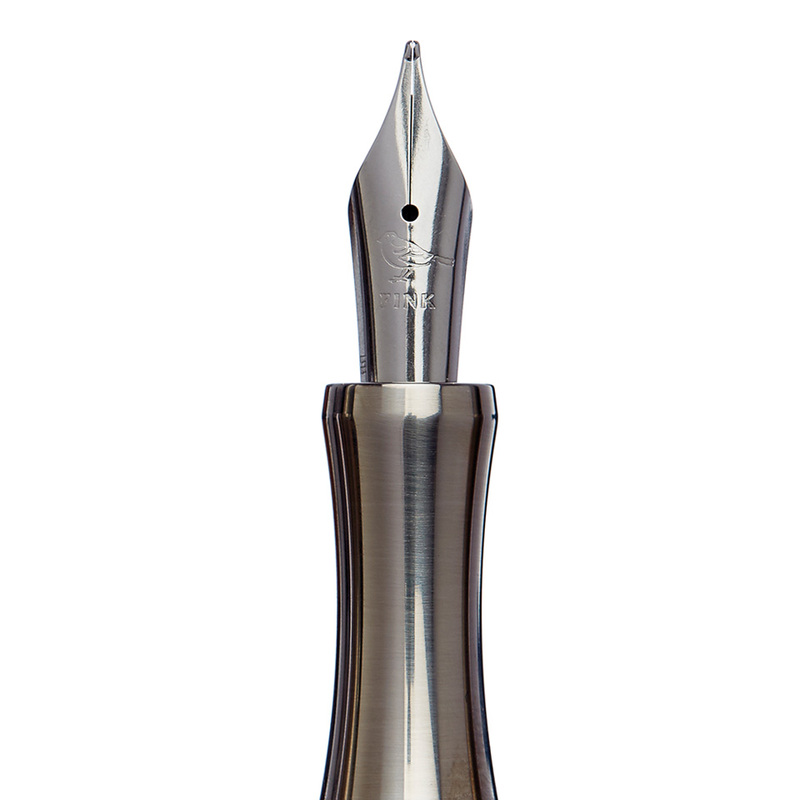 An option is a rhodanized 18 K gold nib, alloyed with a fine platinum layer which results in a silvery, whitegold shade. 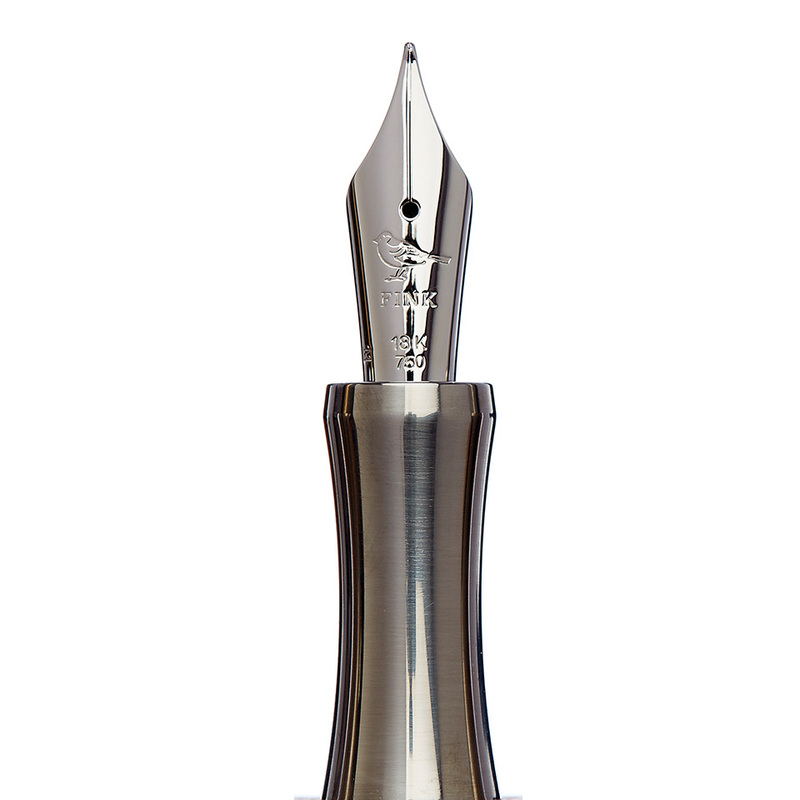 The most crucial part is the nib's point which is made from iridium, the most corrosion resistant of all platinum metals. This point is shaped as a tiny ball on the tip of the nib where the ink is released onto the paper. The company Bock in Heidelberg (Germany) fabricates the Fink Nib especially for Stefan Fink. It is one of the last manufacturing companies of this art. The characteristic elastic handling of the Fink Nib makes the ink flow evenly onto the paper, while the smooth vibration of the nib offers a sensitive touch in the writing process. It harmonically adapts to the individual writing hand, resulting in the distinct, refined image of personal handwriting. The Fink Nib is available in the widths F(ine), M(edium), B(old), extra bold (KB), and as a special 1,3 mm calligraphy pen. 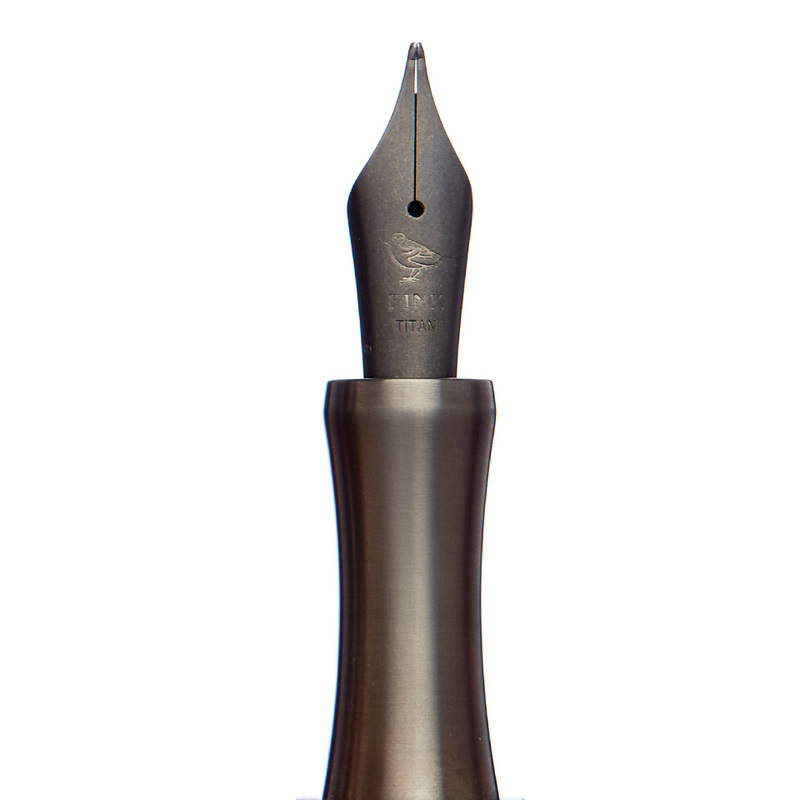 Each nib has been engraved with a finch ornament, Stefan Fink's German namesake and trade mark.